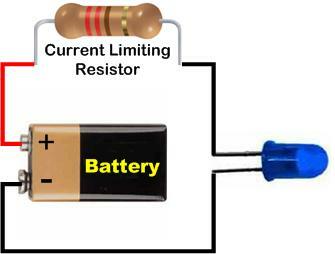 All LEDs require current limiting, without a current limiting mechanism, LEDs will usually burn out in under a second. 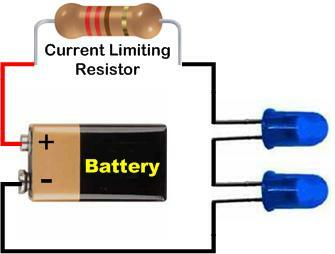 Adding a simple resistor is one of the easiest ways to limit the current. The two online calculators below allow for the automatic calculation of the necessary current limiting resistor and power rating for either running a single LED from a power source or running multiple LEDs in series from a power source. 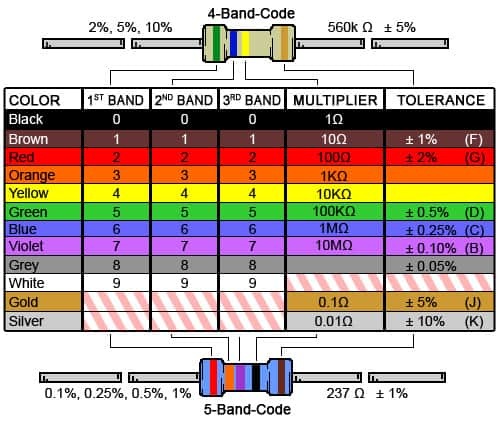 If you require assistance in determining the color code for a resistor value specified, please be sure to visit our Resistor Color Code Calculation Page. When using LEDs in automotive applications, the actual voltage in a vehicle is not 12 volts, rather they operate between 13.8 to 14.5 volts.